Wash and pat dry drumstick. 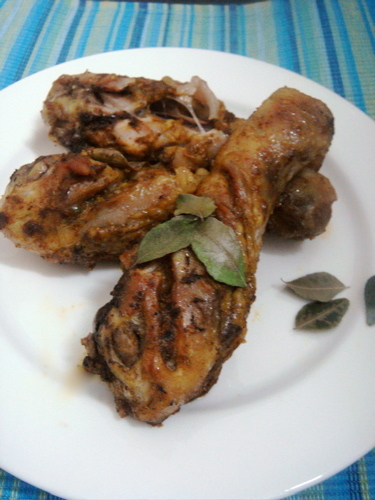 Make 2 slits on each side of drumstick with a knife. Grate garlic and ginger, and mince bird eye chili. 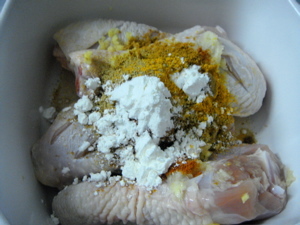 Put all ingredients into a container with a cover and mix everything well to coat the drumstick and into the slits made earlier. 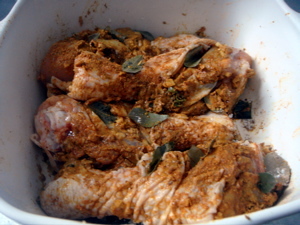 [i]Add an extra ½ tablespoon corn flour if marinade is watery and collects at the bottom of the container. 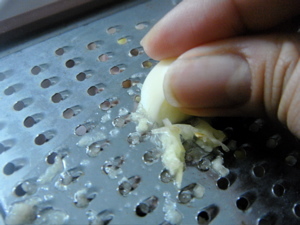 If the marinade is too dry, add a bit of water. You want a batter that is thick enough to coat the wings, but not so thick that it cakes. [i/] Put the curry leaves into the slit. 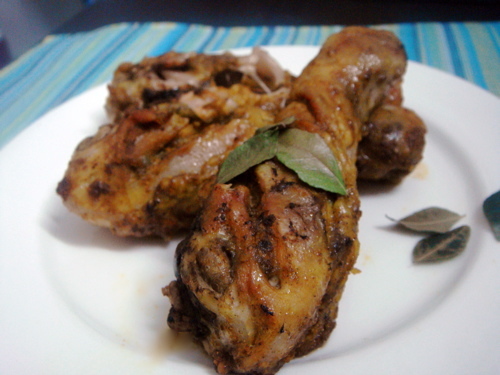 Cover the drumsticks and refrigerate for at least 2 hours. Preheat the oven to 475F/240C. Line a baking tray with foil. Arrange the drumsticks on the tray, spacing them slightly apart. 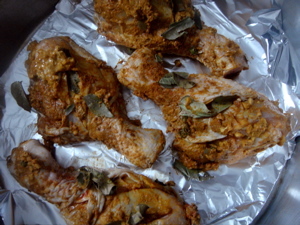 Roast in oven for about 15 minutes (or until crispy) and turn the drumsticks over to roast for another 15 minutes.